Product prices and availability are accurate as of 2019-04-21 10:42:29 UTC and are subject to change. Any price and availability information displayed on http://www.amazon.com/ at the time of purchase will apply to the purchase of this product. 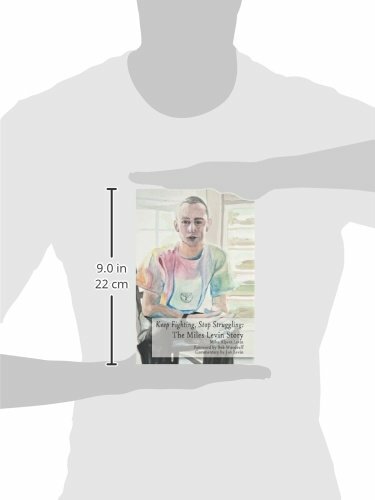 Author Bookstand is proud to offer Keep Fighting, Stop Struggling: The Miles Levin Story by Bookstand Publishing. Bookstand Publishing offers books by the best indie authors throughout North America and the world. Bookstand Publishing is dedicated to offering original content to a broad audience and promoting great authors, literacy, and freedom of expression. 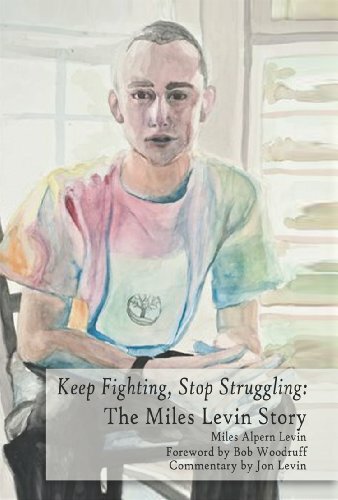 Keep Fighting, Stop Struggling: The Miles Levin Story has generated a lot of interest and excitement and we think it would be an excellent addition to your library. 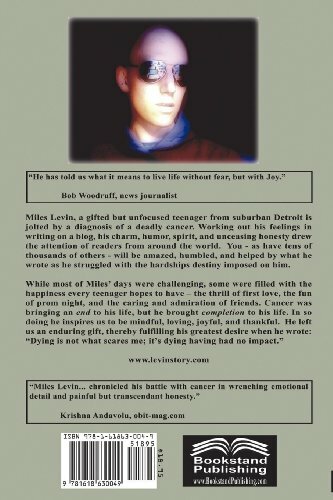 Miles Levin, a gifted but unfocused teenager from suburban Detroit -- whiling away hours on videogames -- is jolted by a diagnosis of a deadly cancer. Working out his feelings in writing on a blog, his charm, humor, spirit, and unceasing honesty drew the attention of readers from around the world. You -- as have tens of thousands of others -- will be amazed, humbled, and helped by what he wrote as he struggled with the hardships destiny imposed on him. While most of Miles' days were challenging, some were filled with the happiness every teenager hopes to have -- the thrill of first love, the fun of prom night, and the caring and admiration of friends. Cancer was bringing an end to his life, but he brought completion to his life. In so doing he inspires us to be mindful, loving, joyful, and thankful. He left us an enduring gift, thereby fulfilling his greatest desire when he wrote: "Dying is not what scares me; it's dying having had no impact."